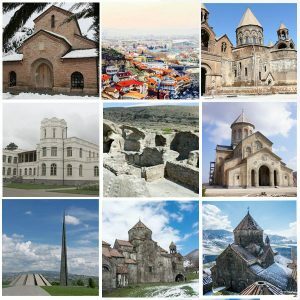 Professor Charles Diehl of Sorbonne, a prominent French art historian and specialist of Byzantium, called Gandzasar the third most important artifact of Armenian monastic architecture that is on the list of world architectural masterpieces. 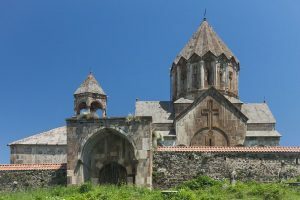 Locals believe that the monastery was founded on the place of a shrine containing the scull of St.John the Baptist, which was brought to the land of Artsakh directly from Palestine. 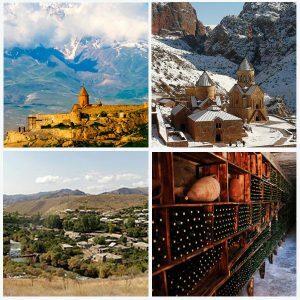 The central Hovhannes Mkrtich (St.John the Baptist) Cathedral is masterly embellished with reliefs depicting the Crucifixion, Adam and Eve and dozens of other stone figures, including the sculptures of the kings of Khachen holding two models of the Cathedral above their heads. 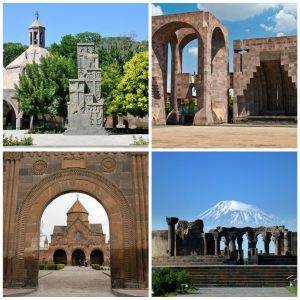 According to an inscription on the wall of the Cathedral, it was completed in the year 1236. 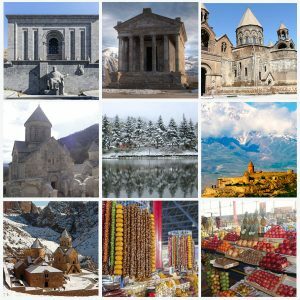 Overall, up to 150 Armenian stone-borne texts are found on the walls of the Cathedral, including a wall-large inscription made by the order of Asan-Jalal himself. 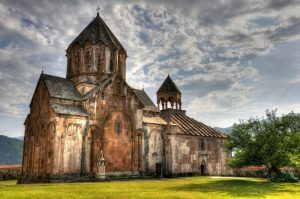 Gandzasar Monastery represents the so-called “Gandzasar Style” of medieval Armenian architecture. 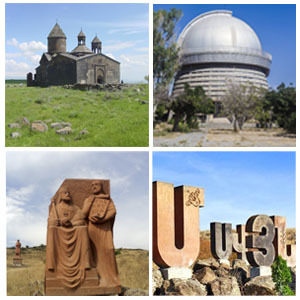 Two other important Armenian monastic complexes, Hovhannavank and Harich, located far away, on the territory of today’s Republic of Armenia, replicate Gandzasar in many details.